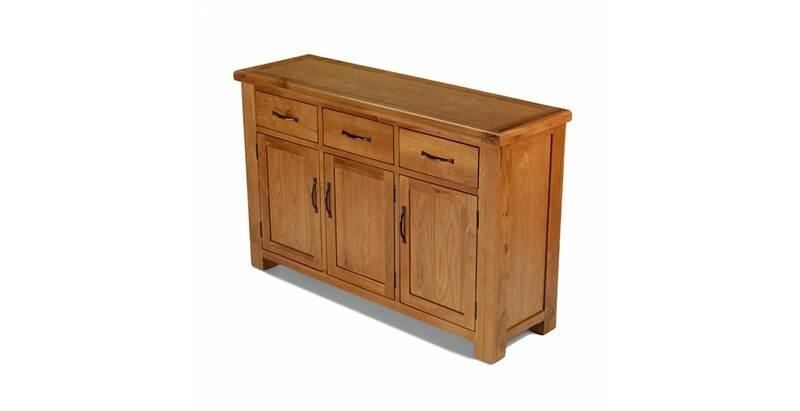 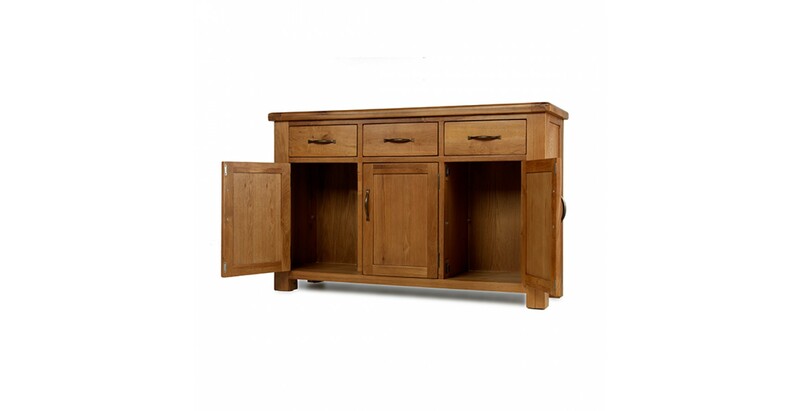 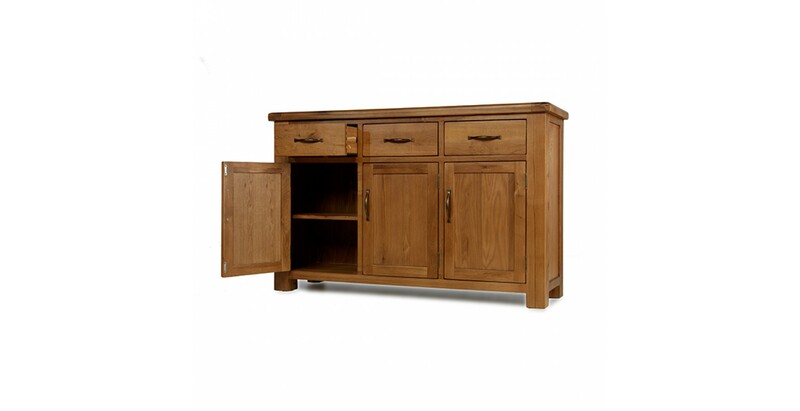 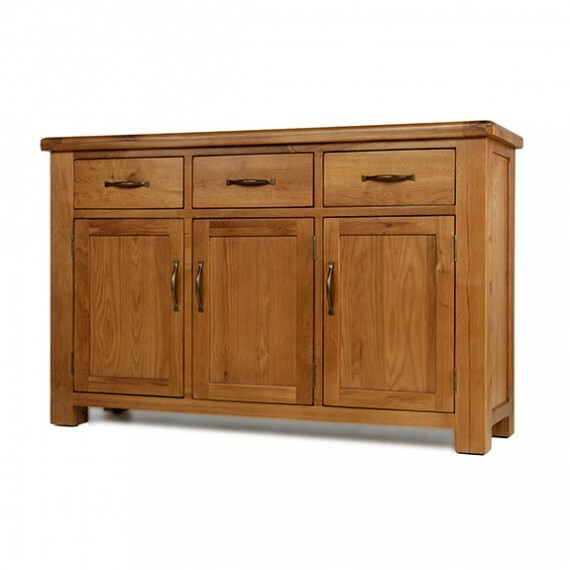 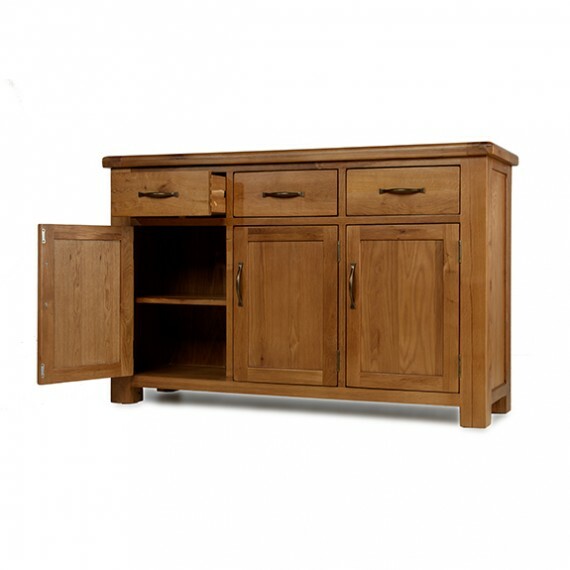 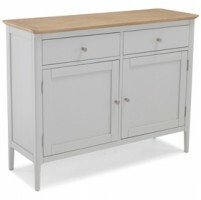 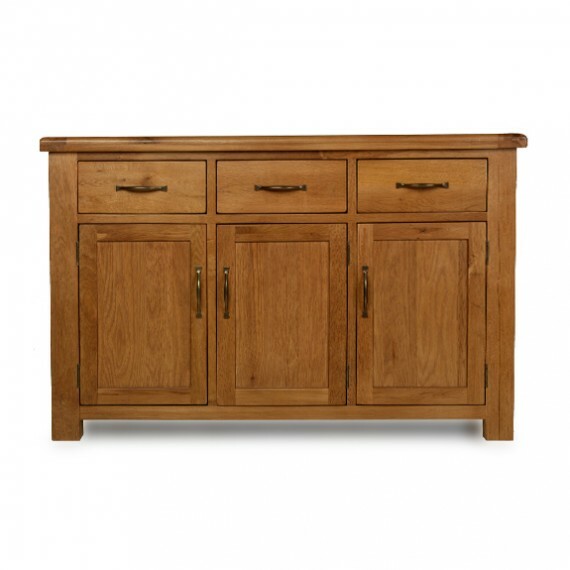 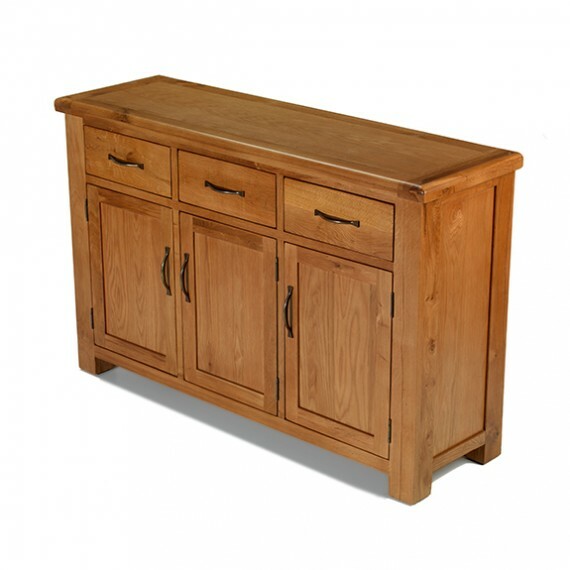 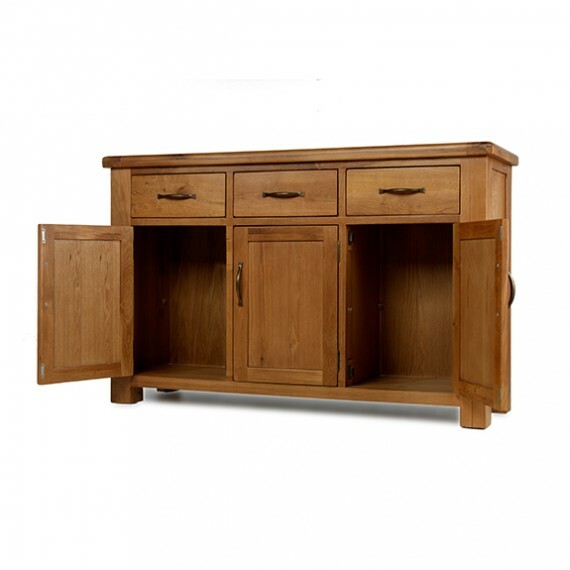 When you've got a lot of things that need a home, an impressively proportioned and rustically handsome sideboard like this one will be just the job. 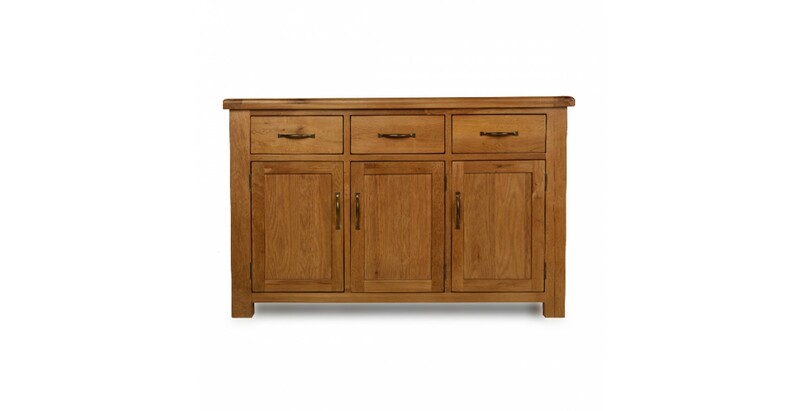 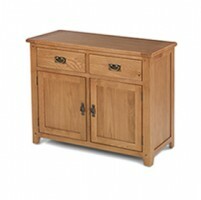 Offering heaps of storage space within its triple cupboard and three dovetailed drawers, its combination of clean-lined elegance and country-style warmth will suit all manner of backdrops. 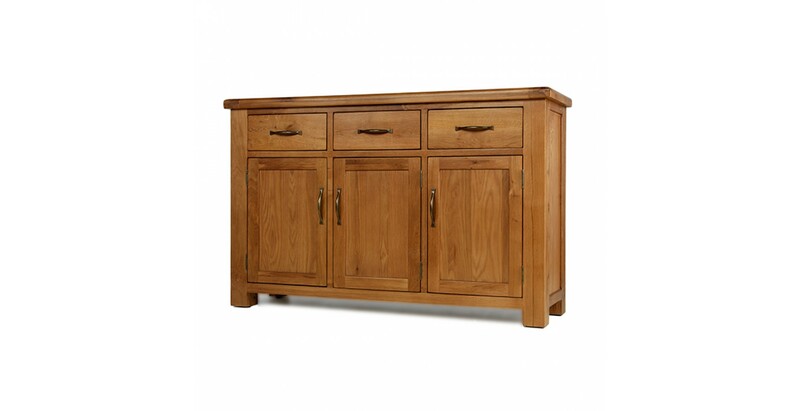 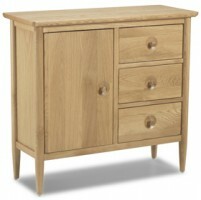 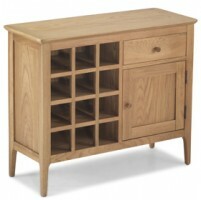 Sturdily crafted from oak and finished with a wax lacquer, it boasts a wealth of features such as the chunky top with rounded corners, subtle peg detailing and antique-style brass-coloured handles to add to its natural warmth and uniquely grained beauty.